We are a fellowship of people who have been transformed by the wonderful saving grace of Jesus Christ and have committed ourselves to share His love with others. Each week, over 2.6 million people worship in more than 12,000 A/G churches across the U.S. as part of a world-wide A/G fellowship of over 50 million. The Assemblies of God was birthed by God out of the modern Pentecostal movement to be a key participant in fulfilling the Great Commission. In 1914 a small group of some 300 people gathered in Hot Springs, Arkansas and formed the General Council of the Assemblies of God. 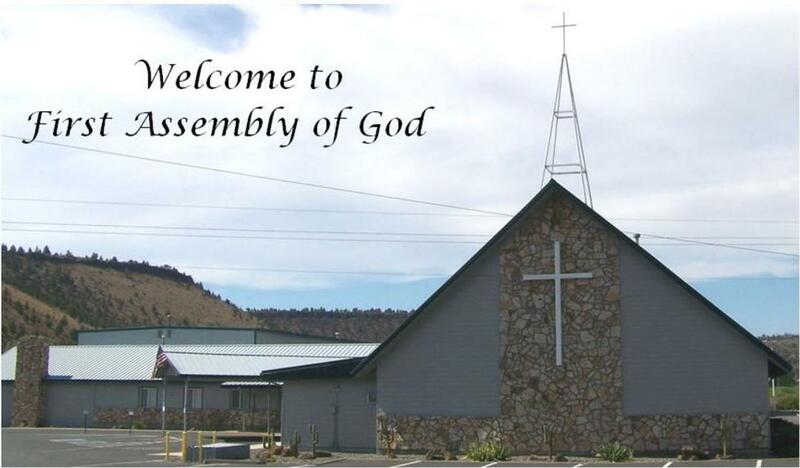 The Oregon District Assemblies of God was established in 1937; with seventy-seven Assemblies located in the state. We now have 206 Assemblies throughout Oregon, and 39 Foreign Missionaries. Pacific Northwest Adult & Teen Challenge Centers provide help for those trying to overcome life-controlling problems. TCI is not a traditional medical model drug and alcohol program, but rather a faith-based, Christ-centered alternative. The Pacific Northwest Centers work daily with young adults (18 years and up) and their families helping them to build productive lives. Redemption House Ministries desires to share the redeeming power of Christ. ​​We aim to provide shelter, assistance, and a safe place to find love, hope and faith. High Desert Christian Academy promotes a distinctly Christian worldview. They present all subjects as defined by Christian truth and lead students to evaluate all human knowledge and experience in light of the Scriptures. Our graduates possess a deep understanding of their world; the ability to discern truth, beauty and goodness; and the tools to influence the world for God's glory. A mega-site providing Biblical answers to contemporary questions for all ages and nationalities. An interdenominational online Christian news publication that is part of a larger multi-media family that includes a web portal, a search engine and directions and the print publication, "The Christian Post." To point Christians to the Word of God as their sole basis for faith and practice by revealing false doctrines. To provide Christians with information about deception within the Church, heretical teachings and cult awareness. Stories about unreached people groupes in seven countries in Europe and how missionsaries are makeing inroads in their lives daily. The Jude 3 Fellowship supports the doctrine of the inerrancy of Scripture and how that doctrine is being abandoned in many churches. The end result is that the church is becoming more and more secular and the Bible is becoming less and less the primary source of preaching and teaching. A web site that gives information about Prineville - Crook County with links to various agencies.